For distinguished philosopher Hans Blumenberg, lions were a life-long obsession. Lions, translated by Kári Driscoll, collects thirty-two of Blumenberg’s philosophical vignettes to reveal that the figure of the lion unites two of his other great preoccupations: metaphors and anecdotes as non-philosophical forms of knowledge. Each of these short texts, sparkling with erudition and humor, is devoted to a peculiar leonine presence—or, in many cases, absence—in literature, art, philosophy, religion, and politics. From Ecclesiastes to the New Testament Apocrypha, Dürer to Henri Rousseau, Aesop and La Fontaine to Rilke and Thomas Mann, the extraordinary breadth of Blumenberg’s knowledge and intellectual curiosity is on full display. 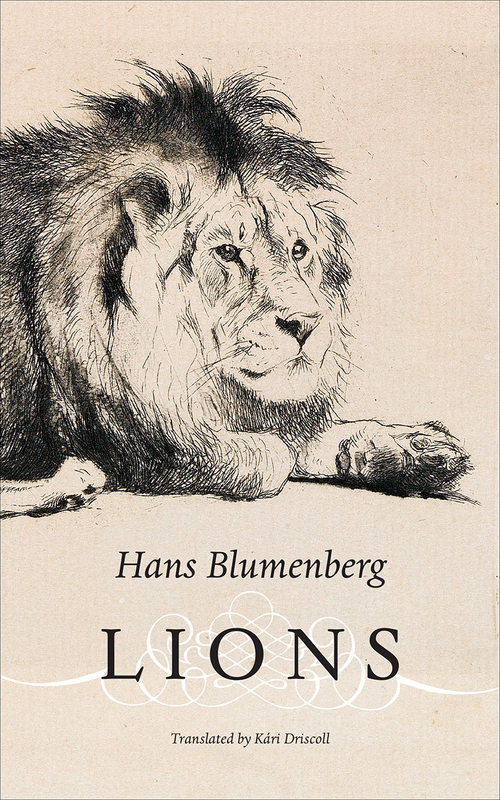 Lions has much to offer readers, both those already familiar with Blumenberg’s oeuvre and newcomers looking for an introduction to the thought of one of Germany’s most important postwar philosophers.